This excursion addresses outcomes from the NSW Geography 7-10 Syllabus. This unique and highly engaging program allows students to learn about Blue Mountains World Heritage site through an engaging program. 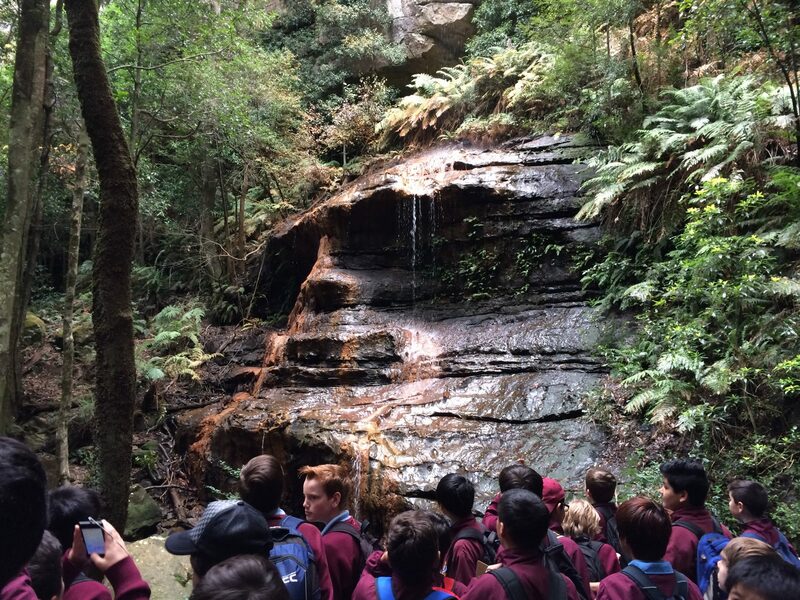 Students will go on a walk from Echo Point to Katoomba Falls and down to Furber Steps as well as first hand collect local weather data using a variety of instruments in order to further understand this unique natural environment. From this learning experience students will further develop their geography knowledge and understanding, field work and group work skills. (Please Note: This program involves a substantial amount of walking (3-4km) over varied terrain, including long sets of stairs – for further information please see the full risk assessment). 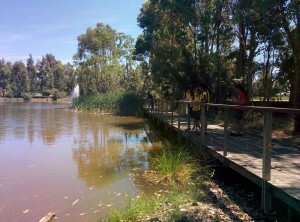 the course of the day through which students will further develop their geography inquiry, field work and group work skills. (Please note: This half day excursion is usually combined with a visit to Warragamba Dam). 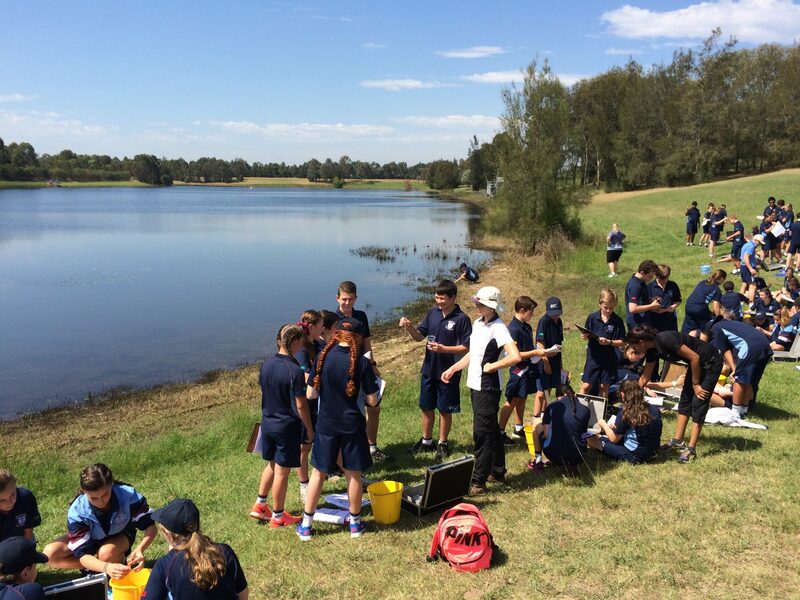 This unique and highly engaging program allows students to learn about stormwater management methods used at Penrith Lakes Scheme, first hand collect data using a variety of water testing equipment and to understand the overall importance of these to the maintenance of high quality water. As a part of the day students also visit a new development site based on ‘Water Sensitive Urban Design’ principles where stormwater treatment is embedded within the facilities and it is treated as a valuable resource. Students are guaranteed to be involved in a number of engaging and hands on experiences during the course of the day through which students will further develop their geography knowledge and understanding, field work and group work skills. 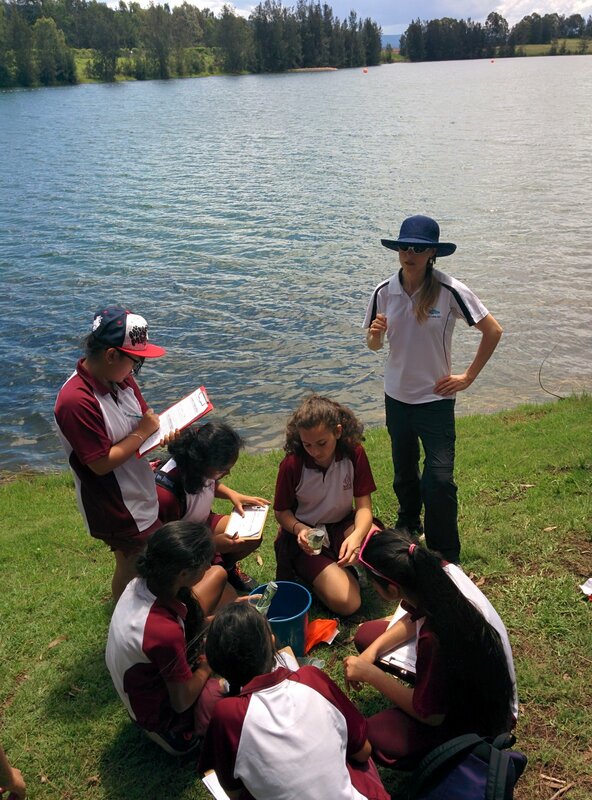 This excursion addresses outcomes from the NSW BOSTES Stage 4 Science Syllabus. • describe some of the interactions between freshwater aquatic organisms in food chains and food webs, including producers, consumers and decomposers. Students are guaranteed to be involved in a number of engaging and hands on experiences during the course of the day. Through these students will further develop their knowledge and understanding, field work and group work skills.